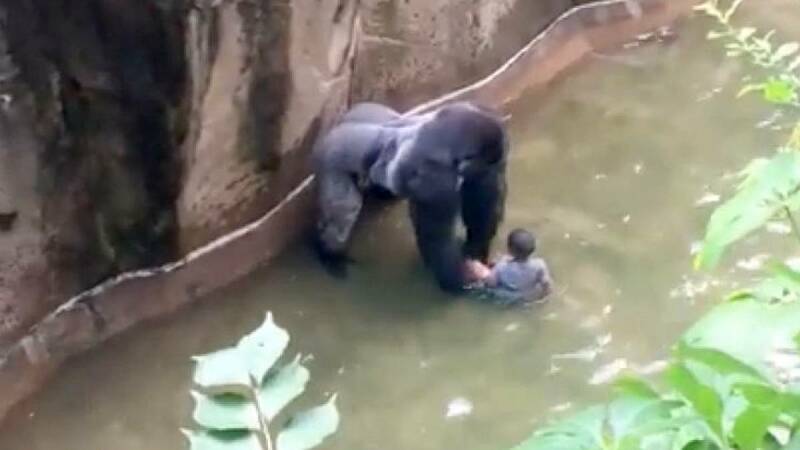 Cincinnati : The family of a boy who entered a Cincinnati Zoo gorilla's enclosure last weekend – forcing zoo officials to shoot the animal to save the life of child – will be the focus of investigation into the incident. A 3-year-old boy was dragged across the moat by a 450-pound Gorilla on Saturday. After a 10-minute encounter, zoo officials found no other way but to shoot the endangered and beloved gorilla, named Harambe. The good news remained with the fact that the boy was not seriously injured in the whole incident. While cops claimed that their review on the incident would be over under what circumstances boy fell into the moat instead on the security and safety of the Cincinnati Zoo. "After the review, we will determine if charges need to be brought forward," police spokeswoman Tiffaney Hardy said. "If it is determined charges need to be brought forward, we would then discuss it with the Hamilton County prosecutor's office." According to authorities, the mother of the boy was with him at the time of incident and it’s a result of her negligence.